Feedback Archives - Fast Mirror - 360-Degree Feedback. We often get asked how the features our Fast Mirror platform help motivate people to give and accept feedback. We also get asked how it can be used to hold people accountable for providing feedback. Not just managers, but all levels of employees. They’re trying to create a “feedback culture” and often in the early stages of determining what this new feedback culture will look like. So, they’re checking out the new HR technology to get some ideas. Checking out the new technology certainly makes sense. It’s good to know what’s out there. But there’s a potential trap as well. If you’re looking at technology solutions before you’ve defined internally what the new feedback culture will look like, you risk letting the technology drive your vision, rather than the other way around. You also risk mistaking the characteristics of effective feedback for the presence of a feedback culture. There’s a difference between an effective feedback practice and the existence of a feedback culture. HR professionals have a wealth of resources available to identify effective feedback practices that can be implemented in their organizations (examples can be found here and here). Although some of the aspects are quite controversial – such as the feedback sandwich and its ever-expanding menu of variations (wraps and pizza for example), there are some basic elements of effective feedback that most of us would be able to agree on. Examples include covering both positive and developmental feedback, grounding feedback in tangible behaviors rather than adjectives, and including actions that can be taken in the future to address behaviors that need to change. A feedback culture, on the other hand, is different. It is organizational culture applied to the practice of feedback. Organizational culture defined is “a system of shared assumptions, values, and beliefs that govern how people behave in organizations.” Applied to the concept of feedback, the definition of a feedback culture is the shared assumptions, values and beliefs that govern the feedback behaviors demonstrated by individuals in the organization. When you implement effective feedback behaviors in your organization, you can provide guidance to employees on what to do and how to do it when giving and receiving feedback. But those steps do not address how they feel about it – their assumptions, values, and beliefs about feedback. What do they think about it? Do they find it useful? Do they enjoy getting it? How do they feel about giving it? How do leaders feel about being both givers of feedback and receivers themselves? Just because you implement effective feedback practices does not mean you’ve created a feedback culture. Creating a feedback culture, particularly in organizations that have historically had challenges with feedback, is a large-scale change intervention. It therefore requires the same level of diligence you would apply to any other change strategy. Ideally you will be applying one of the major change management models in your efforts or something similar. No matter which model you’re using, as with any change intervention, the change will need to start at the top. The “top” means the CEO and his/her direct reports, not a team of voluntold executive sponsors. This McKinsey article offers excellent advice for what the CEO’s role should be in facilitating the change. The section about the importance of role modeling is particularly important for a change regarding feedback. A change readiness assessment should be also be performed. There are many tools available for use. Make sure you partner with a qualified change management expert to ensure you’re using the best one for your situation. Whatever methodology you choose, the assessment should include a thorough analysis of the current and desired state of feedback behaviors in the organization. Here are some sample questions focused on feedback to get you started. What outcomes do we expect to achieve by implementing effective feedback behaviors? Be sure to answer this question with observable behaviors and measurable data. What is the current employee perception about feedback? Manager perception? Senior leadership? Do employees have sufficient level of trust in leaders to foster a feedback culture? How is the trust level between employees and leaders at the same level? What are the obstacles to employees’ and leaders’ willingness to be honest when giving feedback? (e.g., fear of retaliation, conflict-avoidant culture, etc.). What are the strengths of senior leadership regarding feedback and what are their development needs? What are leaders currently doing right when giving feedback? What are leaders currently doing wrong when giving feedback? 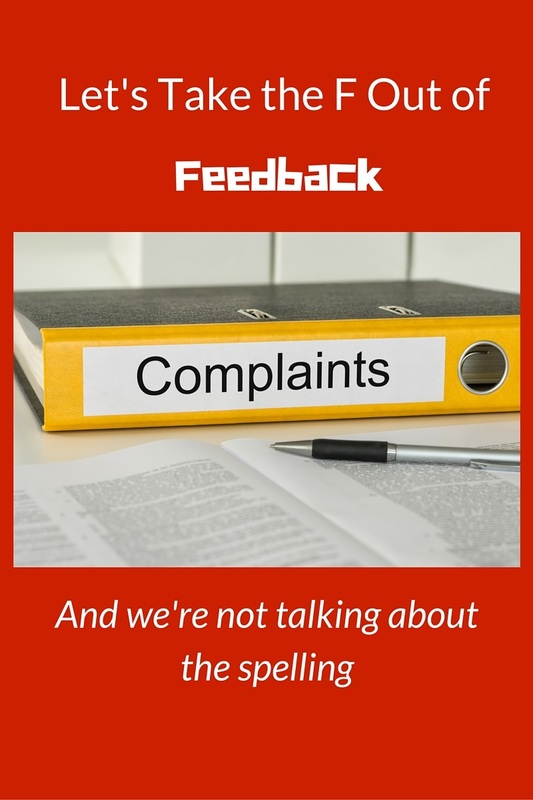 Under what circumstances do we expect feedback to be provided? How do we want people to feel after receiving feedback? How will employees and leaders know it is safe to provide feedback? What specific feedback behaviors do we want to encourage? How can we reward or incentivize people to demonstrate them? What specific feedback behaviors do we want to discourage? What should the consequences be for demonstrating them? How have we (HR) tried to help in the past? What was most valuable / least valuable? As you can see, none of the questions have anything to do with technology. They have to do with the communication facilitated by the technology – whether it’s the latest web-based tool or a face to face conversation. Can technology help you support a transformation to a feedback culture? Absolutely. 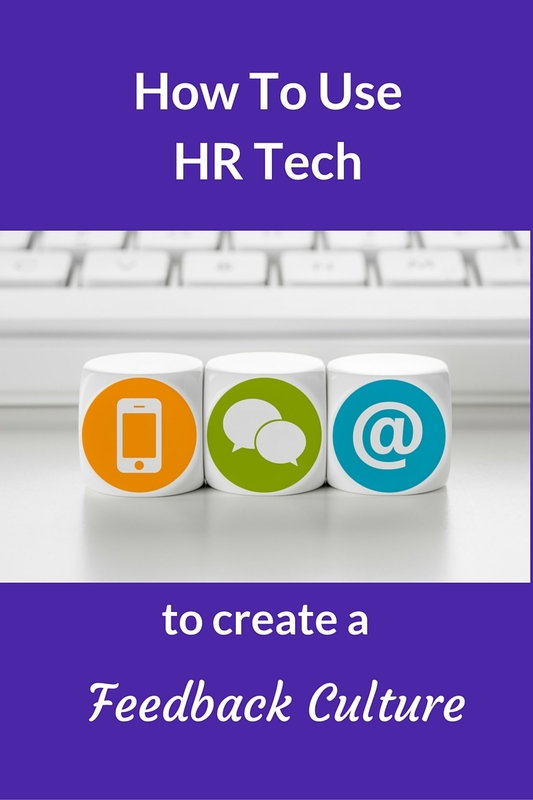 HR technology now makes it easy for people to get quick, real-time feedback. It can also help drive accountability with tracking features, ability to share data, social tools, etc. But, it’s important to remember that these features are supporting mechanisms, not drivers of change. The drivers of change for creation of a feedback culture are the same as for any other culture change. Without visible demonstration and role modeling of the desired feedback behaviors from the very top leadership levels, a feedback culture will not be attained. 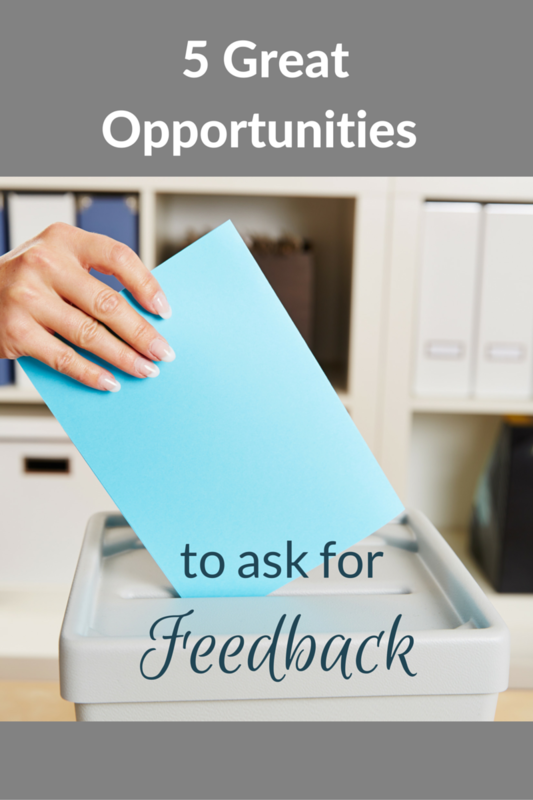 Recently I wrote about some great opportunities to ask for feedback. Hopefully reading that post gave you some ideas for upcoming opportunities you will have to ask for feedback. I don’t want to discourage you, but asking for feedback is only the first step in getting it. You can’t just put a survey out there and wait for the magic to happen. It’s unfortunate, but despite the increasing focus on feedback in organizations, some people are still uncomfortable giving it. This adds a small challenge, but don’t let it stop you from asking for feedback. You own your development, right? Well you also own your feedback. The good news is there are some steps you can take to not only increase the likelihood of getting feedback, but to make it more meaningful and ultimately help you develop your skills. 1. Let people know it’s coming. Also known as the “heads up.” As you know, everyone is overloaded. Too much work, too many communications, and it doesn’t help when spam filters incorrectly capture emails. It’s easy to get lost in the shuffle. If you’re asking for feedback in a survey, be helpful and let the person know it’s coming. Provide key details such as who the sender will be, the time-frame in which it will arrive, and approximately how long it will take to complete the survey. 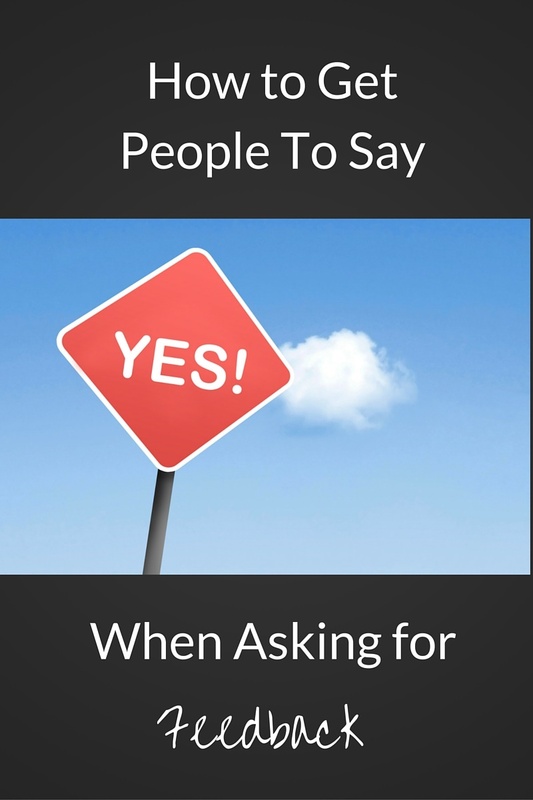 You should also make it clear why you’re asking for feedback and what you intend to do with it. If there’s something specific you’re looking for feedback on, communicate that as well. Providing this information up front will enable responders to give you feedback that is more relevant and useful to you in your development. It also gives them some time to think about it in advance. 2. Ask at the right time and avoid inconvenient times. Just because we advocate asking for feedback doesn’t mean any time is the right time to do so. It’s important to know when not to ask for feedback. Don’t ask your peer for feedback right after a stressful meeting or project. Don’t ask for feedback from people who will be unavailable during the relevant timeframe because they’ll be at a conference, on vacation, or in the midst of crunch time work. If you practice the previous recommendation of giving people a heads up that a request for feedback is coming, that’s your opportunity to learn of any timing issues and adjust accordingly. There’s one specific point related to this topic that warrants its own paragraph. Leaders, don’t ask your direct reports for feedback right before comp review! Their concerns will be heightened during this time no matter how much you try to convince them otherwise. Think about how you would feel if you were asked to do the same. 3. Ask people that have observed you often enough to provide insightful feedback. I’ve seen some clients struggle to get feedback because they asked for it from people who barely knew them. The person you sat next to in a meeting last month and shared a handout with has not worked with you if that was your only interaction. The employee that reported to you for one month then moved on to another role reporting to someone else did not report to you long enough to form a valid perception of your leadership skills. Make sure the people you ask for feedback have had sufficient interaction with you to form a valid perspective of your behavior. The exception to this rule would be if the feedback you are seeking is limited to the interaction you had with that person. For example, if you’re asking for feedback on how well you delivered a presentation or facilitated a meeting, it would be appropriate to include those people. Just be sure to do it immediately after the interaction while the memory is fresh in their minds. 4. Follow up with people after you get the feedback. If you’re striving to get more frequent feedback, chances are there will be some people you’ll need to ask on a regular basis. Increase the likelihood of receiving continuous feedback from others by sharing the outcome with them. You don’t need to be specific and share personal data. All you need to do is elaborate a bit on what you said when you gave a heads up. “In general, the feedback from you [my direct reports] indicated I need to be more specific in communicating expectations. So I’ll be working on that in the future.” Providing this kind of follow up lets people know you took their feedback seriously and are doing something with it. What are your techniques for increasing participation when asking for feedback? Tell us in the comments! The topic of feedback is all the rage right now. Just last week I found this article from the NY Times and this podast from HBR. And there’s plenty of great content written prior to these posts, so you really don’t need me to regurgitate it to you. 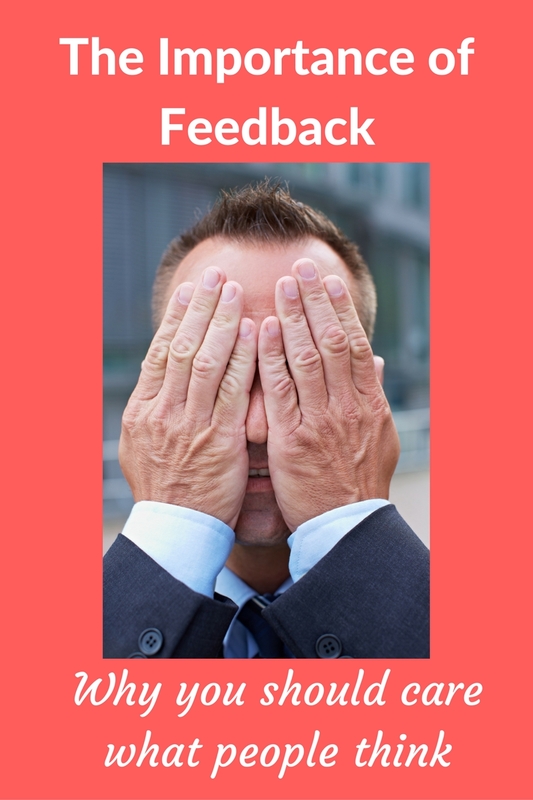 In fact, the topic of feedback has been so hot lately I’m going to take a small leap and presume you don’t need to be convinced that it’s a necessity. I’ll even go so far as to say you are a feedback advocate! If not, review the material linked above, search for more if you need more convincing, and return to this post when you’ve come to your senses. Back to you advocates. I’m so glad you support the practice of feedback, your employees will be glad to hear it. However, if you want feedback to go well, you can’t just throw it out there and wait for the magic to happen. To make feedback useful, there are some standards that need to be met. If not, feedback is likely to be useless and potentially damaging. For feedback to be effective, make sure you don’t do these 5 things. 1. 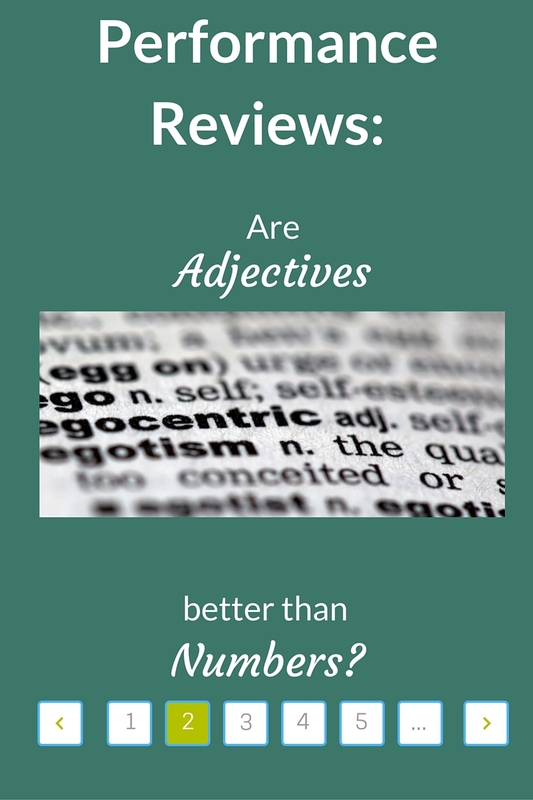 Provide feedback using numbers on a generic rating scale rather than descriptive behavioral statements. I’m perplexed that while Likert-type rating scales associated with traditional performance management are being eliminated faster than high-fructose corn syrup from everything we eat, the same types of ratings continue to be used in revamped feedback programs. “In your weekly feedback survey, you were rated a 3 on a 5 point effectiveness scale for the corporate competency of “Making Awesome Decisions.” As with performance ratings, results such as this can only lead to more questions: What does that mean? Did I make good decisions or bad? What did I do well and what do I need to work on in the future? Instead of using ambiguous numbers and generic rating scales to provide feedback, try providing specific examples of what the behavior looks like at several different levels of skill, then comparing the employee’s behavior to those standards. It follows the same logic you may have learned in interviewer training where you need to think about what a poor answer sounds like, an acceptable answer, and a super-duper answer. It’s only difficult if you don’t know the behaviors associated with the competency you’re trying to assess, and how they vary across different levels of performance. 2. Require feedback be shared with the boss even if the person is resistant to it. Feedback can be personal and difficult to hear. It’s not for everybody. Yet sometimes we like to think it is, and we set up a feedback practice based on this misconception. Interestingly, despite the perpetual acknowledgement that organizations still struggle to build a strong leadership bench, those same leaders are entrusted with the important task of guiding employees through their feedback and development planning, when at the same time those leaders are struggling with their own development efforts. The fix for this one is simple: don’t force employees to share feedback if they don’t want to. 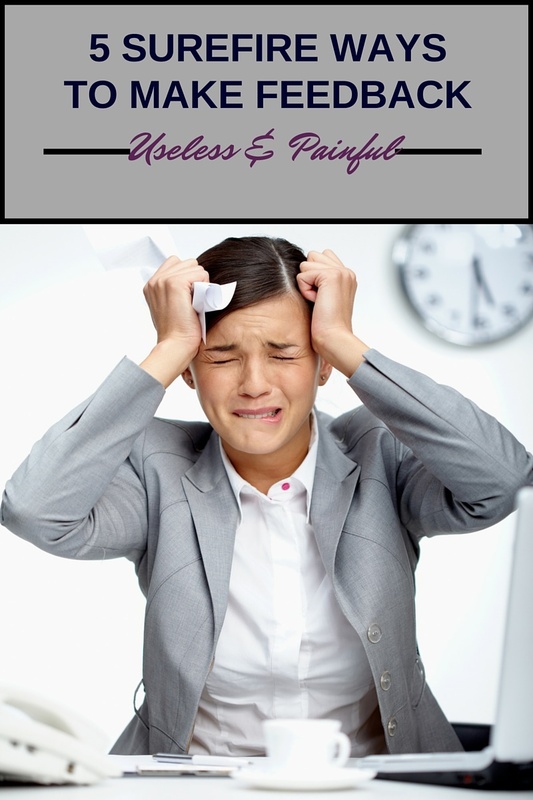 The boss is not the only resource available to the employee. Let employees choose who they share feedback with and who they don’t. 3. Expect employees to independently create their IDPs. There is no shortage of development plan templates out there, both paper versions and online. Often the company-provided development plan template is accompanied by a voluminous tome of hundreds or even thousands of “development suggestions” to choose from. What more do people need? They’ve got all the resources! Let’s think about this for a moment. Whose area of expertise is development planning? In most cases, not the employee’s. Yet we expect employees and leaders in non-HR areas to have the insight and patience to create robust, meaningful development plans with their massive pile of “resources”. Rather than leaving employees to their own devices where they are likely to become overwhelmed and frustrated, try providing personalized guidance to help them link feedback to the development plan. This does not mean to “spoon-feed” them as is often the concern. It does mean to make sure they know where to start. Talk through the development goal and how it will be accomplished. Help them identify available opportunities. Engage them in thinking about potential obstacles and how they can be planned for. Discuss how progress will be monitored, frequency of check ins, deadlines, and consequences of not following through. Ask them to describe what success will look like. This is the delicate balance between fostering ownership of the IDP while still offering support and guidance. 4. Accept a learning activity such as taking a class or reading a book as sufficient for a development goal. How many development plans have you seen where the major activity was to attend a class or a conference? Or read a book! How many managers have you coached because they sent an employee to training to correct a performance deficiency but after the class, nothing changed? No matter where you stand on the recent controversy surrounding the 70/20/10 rule, providing learners with opportunity for retrieval and application of freshly acquired knowledge is at the heart of neurolearning. Classes, reading, and coaching from others will be quickly forgotten without the real world experience of personally demonstrating the skill being developed. Find a relevant project, assignment, meeting, etc. that offers opportunity to practice and apply the skill being developed. 5. Expect implementation of the development plan to go smoothly and expect immediate change. Development is hard work. It doesn’t happen overnight, usually not even in a month or even two. Depending on the skill and other factors, it can take years. Employees and especially leaders need to allow ample time to accommodate the learning, application, and self-reflection required for true skill development. Just like with everything else, there is no magic bullet. What about you? What mistakes have you seen with feedback and how did you make it right? Tell us in the comments!